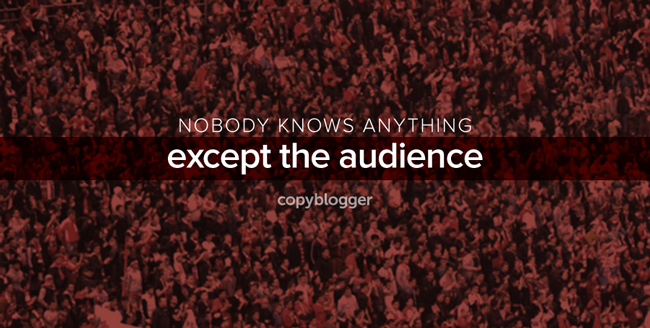 by BRIAN CLARK Ever had a great idea, and then started to doubt yourself? Ever had a great idea, and then started to doubt yourself? Or maybe you’ve already executed on that great idea, but you’re hesitating to launch. Maybe it’s an article, or an ebook, or a new product or service. How can you be sure it will work? Should you ask for feedback? I’ll answer both of those questions in this article, but first I need to tell you a couple of stories from the nutty worlds of music and film. Let’s start with a band called Wilco. In 2000 and early 2001, Wilco recorded a selection of songs for a fourth studio album. Signed to Reprise Records (a subsidiary of Warner Music), the band was continuing to shift away from its “alt country” roots toward a more experimental alternative rock sound. This made the folks at Reprise nervous. After a shakeup at the top executive level of the label, a guy named Mio Vukovic was assigned to monitor the progress of the new album and offer suggestions. Let’s just say that Vukovic wasn’t much impressed with what he heard, and Wilco wasn’t much impressed with his suggestions. This resulted in the band being unceremoniously canned by the label. Wilco negotiated its contractual divorce from Reprise. Part of the deal allowed the band to keep the master tapes and full rights to the unreleased songs. The band was down, but not out. Before we get back to Wilco, let’s take a trip to Hollywood. “Nobody knows anything” is the most famous line from the book Adventures in the Screen Trade by screenwriter William Goldman. Goldman isn’t saying (contrary to popular belief) that Hollywood is filled (exclusively) with idiots. He means that prior to a movie’s release, no one has any real idea how well a film will do. Smart people in Hollywood seek writers, producers, and directors who have a proven knack for being right more often than wrong. Because that’s the best you can hope for. The same is true for anything designed to entertain, educate, delight, motivate, or move people. The best you can hope for is to take your best guess and do your best work. This is how online content marketing works, too. Welcome to the media business. That’s not to say people won’t have opinions about the viability of your ideas. Oh boy, will they ever have opinions. Everyone has those, right? Let’s get back to Wilco. Later in 2001, Wilco’s Jeff Tweedy decided to stream the “album without a home” from the band’s website. The move was prompted in part to curb piracy of leaked mp3s, but it also let the fans decide if they liked the collection of songs known as Yankee Hotel Foxtrot. People did like it. But that’s not all. Suddenly, more than 30 record labels offered to sign the band. Wilco went with Nonesuch Records, which is ironically also a subsidiary of Warner Music (who says the music business is screwed up?). Yankee Hotel Foxtrot remains Wilco’s highest charting album, even though the band won two Grammys for its next album. Yankee Hotel Foxtrot remains Wilco’s bestselling album, even though the band’s status has grown with its subsequent releases. Yankee Hotel Foxtrot topped numerous critic’s “Best album of 2002” lists and was named one of the 100 greatest albums of all time by Q Magazine. 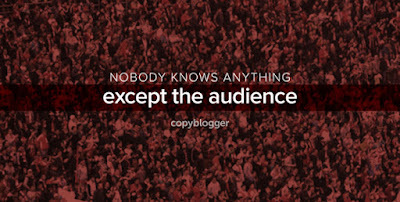 Nobody knows anything … except the audience. This doesn’t mean you shouldn’t do your research. This doesn’t mean you shouldn’t relentlessly think it through. This certainly doesn’t mean this particular idea of yours will succeed. Online, there are no gatekeepers to shut you down. The audience decides what’s worthy across the board — in film, music, books, and any other form of content that’s produced by the imagination of a determined individual or group. It’s always been this way, but now the relationship is direct thanks to the Internet. Consider feedback and apply fundamentals, but ultimately realize that your boss, your spouse, your colleagues, and your high school friends don’t know anything. That also applies to me and everyone else who gives you advice. You’ll never absolutely, positively know until you put it out there. Go ahead … we’re all waiting for the next fascinating thing. Want to increase your odds of getting it right the first time? Check out two weeks of free training that will change the way you think about online marketing … and Mio Vukovic has absolutely no say in it.